As anyone can tell who reads my blog, I'm a pretty active individual. I like to keep both my body and mind busy, and my recent enforced grounding due to eye surgery has stopped me in my tracks somewhat. Not only can't I drive or fly, I am limited to less strenuous physical activity until the retina looks like it is well and truly adhering well. Negotiating the world with vision in only one eye also takes a lot of getting used to! So, after the initial shock of having to undergo a second surgery and the prospect of an even longer recuperative period, I returned from my review appointment with some clear ideas about when and what I could and couldn't do. I could fly at the end of the 8 week period post operatively, I could walk up Mt Iron, and I could cycle as long as it wasn't too strenuous. Driving is still out of the question. David, my landlord, has an old mountain bike in his back shed that he has let me use. It's not too shabby a bike, so after dropping the seat height I took it for a little run around the local streets to see how it felt cycling with one eye. It's a little weird, but doable. So a day later I rode into town along the Outlet Track! Now that was quite an experience: narrow track, cliff one side, river the other, am I crazy?? Overtaking people is still a problem, and going downhill is terrifying, but otherwise, I'm nailing this one eyed cycling gig. And there are so many bike tracks around here I'm spoilt for choice. To keep my brain busy I've enrolled in an online TEFL course. I'd been thinking about the idea of teaching English in a foreign country as an option for some time, and having the down time right now to complete the course is an opportunity worth taking. It's quite interesting too, especially as I've never learnt much phonetics or grammar in the past. Finally, the food one. I thought of this when Kathy was still here because the seed of the idea began in Sapporo City a few years ago when we decided to do a gyoza crawl. 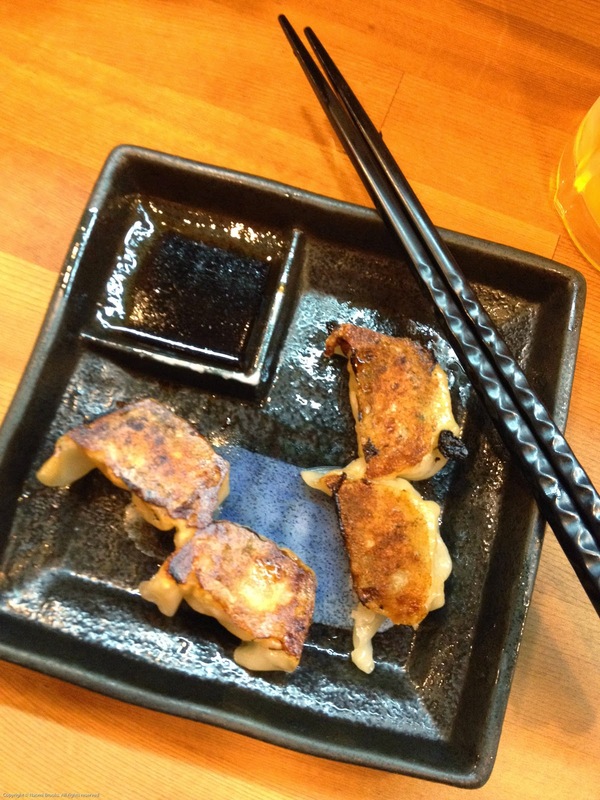 Gyoza are Japanese fried dumplings, and are particularly popular in Hokkaido. The plan was to head out from our hotel and order a plate of gyoza and a beer at the first restaurant we came to, consume, then move on to the next gyoza joint. We sampled quite a few varieties that night, and got quite drunk as well... but what's that got to do with New Zealand? I was thinking how this idea of sampling an individual dish could be transplanted to New Zealand and I immediately thought of seafood. Being an island country it certainly has a surplus of the stuff, but what dish could be used to sample the bounty? Good old seafood chowder of course! It's a basic, home cooking type recipe, which is also quintessentially Kiwi, so the NZ Seafood Chowder Trail was born! Go check it out! I've had friends and flatmates join me on this quest, and as I travel further in NZ there'll be a lot more entries. It's a bit of fun, and chowder is both inexpensive and not too filling, so it's an opportunity to eat out without breaking the bank. Since I began writing this post I've had yet another trip to Dunedin for my one month post surgery review. The retina is healing well, so aside from scaling mountains (because of the altitude) I now have no exercise restrictions at all. After 6 weeks of relative inactivity from skiing 5-6 days a week for the previous 2 months, I'm pretty keen to get my heart pumping and regain my fitness. And with awesome sunny Spring days here in Wanaka you can bet I'm going to be out getting a few hours of cycling or walking done. So you chaps can look forward to some spectacular Kiwi scenery coming soon. All the best for a complete and speedy recovery Naomi.